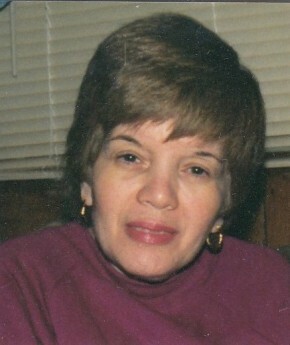 Palma M. Cardillo (nee Cassaniti) of Warwick, NY, passed away on March 31, 2019 at Westchester Medical Center, Valhalla. She was 79 years old. Born in Bronx, NY on August 27, 1939 to the late Rosario and Rose (Alpino) Cassaniti. Palma was a devoted Catholic woman from the Bronx; she was an active former parishioner of St. Raymonds RC Church, Bronx, NY; a member of the Ladies Sodalities; and the Columbiettes; and she also volunteered for CCD at St. Raymonds. More recently, she was an active parishioner at St. Stephen RC Church, Warwick, a member of the Catholic Daughters and Court of Ann. Palma was a survivor of 9/11, having worked in the adjoining building to the Twin Towers. She is survived by her children, Leonard P. Cardillo and his wife Suzanne of Stony Point, NY Roseann Frantzen and her husband James of Pine Island, NY; brother, Salvatore Cassaniti of Nyack, NY; and six grandchildren: Carl and his fiancee Deidre Wentzel, Justin, Krista, Eric, Alyse, and Regina. Visitation will be held on Wednesday, April 3 from 2-4 pm and 7-9pm at Lazear-Smith & Vander Plaat Memorial Home, 17 Oakland Avenue, Warwick, NY. A Mass of Christian Burial will be celebrated on Thursday, April 4 at 11:00 a.m. at St. Stephen RC Church, 75 Sanfordville Road, Warwick, followed by interment in St. Raymonds Cemetery, Bronx, NY. Memorial contributions may be made to St. Jude Children’s Research Hospital, 501 St. Jude Place, Memphis, TN 38105. At the time of funeral service we commemorate and reflect on the life of Palma M. Cardillo. In the days, weeks and months ahead it will be a comfort to family of Palma M. Cardillo to continue to remember a life well lived. Please select a date on the Calendar of Care to be reminded via email to reach out and continue the caring for family of Palma M..